Marketing is one of those endeavors that requires a lot of dedication. You simply can’t throw a slogan and just one advertisement out there and sit back, waiting for it to reap dividends. You need to keep at it, not stopping or taking a break. You need to be persistent. It’s enough of a challenge to remember these sorts of things when it comes to traditional methods of advertising and marketing. But when you start expanding into today’s social media community and its multitude of platforms, it’s an even greater challenge, because now you have to get used to practicing persistence while at the same time getting a handle on how to use the various social media tools. 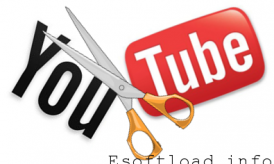 Videos are an effective marketing tool, and YouTube is the go-to place for videos. And that’s why you need to use YouTube to market your business or website. 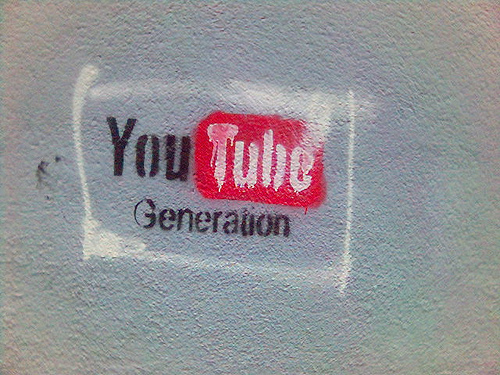 It’s the YouTube generation. See? It even says so right there! Take, for instance, Pastor Ed Young Jr. He has 392 videos with 1.9 million views, and if that’s not persistence then who knows what is! Notice that he didn’t just make a single video, upload it, and call it a day. Pastor Ed Young has set up his own channel with a multitude of videos that are easy to find. His channel includes a quick blurb about who he is, and links to his church and to his blog. By creating a solid ongoing presence on YouTube, Pastor Young’s message gets through to his target audience, as well as to curious newcomers. Are you aware that videos most often appear on the first page of search results? 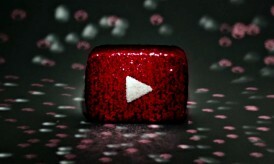 Furthermore, are you also aware that the biggest search engine on the block, namely Google, actually owns YouTube? Good things to know, eh? 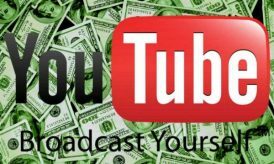 In order to exercise persistence, you have to make sure that your video is easily findable within YouTube itself as well as outside, say for instance on search engines. For instance, you should not only have a branded channel on YouTube, you should make sure your video has relevant tags, a description that begins with a full URL, and a title that includes targeted keywords as close to the beginning of the title as possible. Your videos should also include annotations. The annotations include things like an option to subscribe, and links to other channels, playlists, or videos. Annotations appear at the top of your video for a length of time that you determine. Outside of YouTube, you must make sure to link to your videos or channel at every reasonable opportunity. Do you have a website? Put a YouTube link there. You could even put one video on your site, with a link that takes the viewer to YouTube if they liked what they saw and wish to see more. If you have a blog, a Twitter account, or a profile page on social media sites such as LinkedIn, GooglePlus, and of course, Facebook, then you must add links to your videos. When it comes time to measure your results, check out YouTube Insights and get information on who’s watching your videos and where they found them. These analytics are effective tools for social media marketing. If your videos aren’t getting the views you want, don’t get discouraged. Go over the analytics and see what’s been working best, even if it’s only relatively so. Build on that. People want videos that are entertaining, outrageous, and informative, but not as long as the director’s cut of the Lord of the Rings movie trilogy. John Terra has been freelancing since 1985, and his work has appeared in diverse places like Inc Magazine, Computer Shopper, The Nashua Telegraph. He writes about a number of diverse topics, everything from gaming to cleaning gutters to personalities such as Steve Wynn.